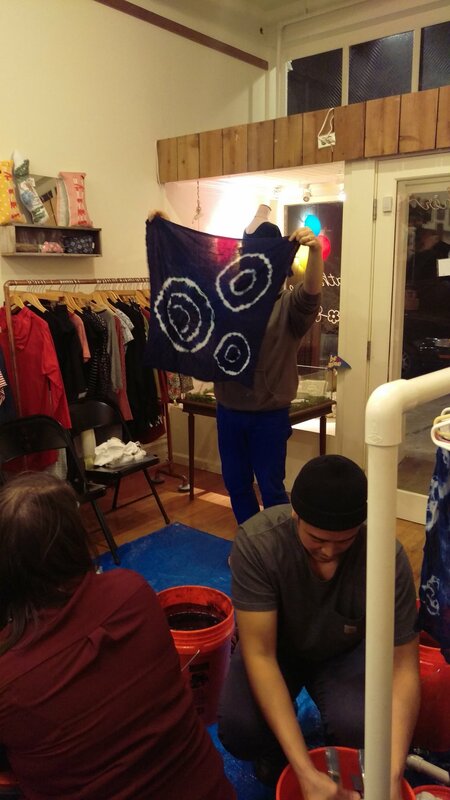 We had so much fun at our Indigo Dyeing Workshop with Erin of Feed the Fish Co. She made a technique that seemed super complicated fun and easy to do. The great thing about this class is you can't mess up! Literally everyone's pieces turned out so beautiful and unique. Each student made 4 unique tea towels and some even brought their own clothing items like socks and tops to dye. Missed out on the fun? Be sure to sign up for our newsletter at the bottom of the page to learn about workshops before they sell out!